Can the Samsung CLX3175N cartridges be used in a CLX3185 series printer? Unfortunately, the CLX3175N and the CLX3185 printer models take different cartridges. Are you fearful that changing your Samsung CLX-3175N laser printer cartridges will end up costing you lots of money? Only the cheapest offers are guaranteed with us, night and day. It'll no longer be necessary to spend time hunting for Samsung CLX-3175N cartridges in local shops and find yourself forking out far more. Find great discounts now at Cartridge Save. You can be assured of total peace of mind when you purchase brand new Samsung CLX3175N toner with us thanks to our cast-iron thirty day cash back policy. Better still, everything you buy comes with absolutely free delivery, normally delivered next business day. Save yourself some money, buy today with us! The Samsung CLX 3175N is a modern laser and colour printer that is suitable for a small business or a larger group that requires speed and dependability. This multifunction printer can print, scan and copy. It has a monthly duty cycle of 20,000 pages and can print up to 17 pages per minute in black and white. During colour printing, it is only able to print up to 4 pages per minute but it is able to print a maximum resolution of 2,400 x 600 dpi in colour. It can copy in a maximum resolution of 1,200 x 1,200 dpi and can produce 99 copies at a time. Scanning can be done at an optical resolution of 1,200 x 1,200 dpi. 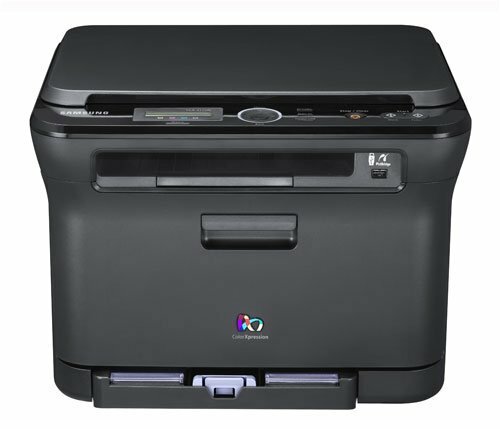 This printer has a sleek black design that is very appealing to the eye. It has dimensions of 41.40 cm in width, 36.06 cm in depth, and a height of 30.98 cm. It is a solid printer that has a weight of 14.51 kilograms, but is still quite portable. It has a single media feeder that has a capacity of 150 sheets and an output tray that can hold 80 sheets. The Samsung CLX 3175N connects to a PC or Mac using a high-speed USB Ethernet cable and installation is as simple as inserting a CD. Installing the Samsung CLX 3175N toner cartridges is pain free with easy access to the toner bay. One of the best advantages that this printer has to offer is its amazing print quality: photos are clear and crisp. Despite the fact that colour printing is slow, the Samsung CLX 3175N prints colour photos that are well worth the wait. In addition, you can print on cards, labels, envelopes, and plain paper. Another great feature is the ability to set your printer up in a network. This makes it an ideal printer for an office where many computers need to print. Replacement Samsung CLX 3175N toner is available at a reasonable price from Cartridge Save, which helps lower the running cost. This printer may be too noisy for some people because it produces 27 decibels of sound during standby. During operation, it gets noisier and creates up to 50 decibels of sound. Another downside to the Samsung CLX 3175N is its speed during colour printing. If colour printing and speed is a primary necessity, you should consider another printer.